In this article, I am going to share one of the most powerful, yet least understood areas of retail sales. It’s called "The Educate and Inform approach". Customers hate (and resist) being sold to. However, customers love to buy things. Some even call the joy of buying things ‘Retail Therapy’, because they enjoy it so much. Traditional retail sales training has always been about finding ways to persuade the customer to buy from you. It’s almost like a game of chess, with the retailer trying to out maneuver the customer. This is why retailers are taught how to overcome objections, how to turn a ‘no’ into a ‘yes’, how to close a sale, etc… the list of retail sales tactics is huge. Here’s the thing: We find that many of the most successful retail salespeople in the world use a very different approach. They don’t sell… ever. It looks like this: Instead of selling to customers, they educate customers, who then buy from them. They put themselves on the side of the customer, rather than battle the customer using sales tactics. I call this the Educate and Inform approach. Many of the most successful salespeople in the country have not sold a thing in years. Sure, they have masses of people who buy from them, but they don’t do what would traditionally be known as selling. These successful salespeople have figured out, that customers know the instant they are being sold to. They also realized that as soon as customers sense a retail sales tactic is being used on them, they put their sales shield up. So, rather than act like a salesperson, they act like a product expert or consultant. They Educate and Inform, rather than pitch and sell. As a result, they encounter very little buyer resistance and find customers connect with them far better. They listen to what the customer wants, then advise, not sell, based on the customer’s need. BTW: In business to business sales, this approach is called Consultative Selling, such is the emphasis on a consultative approach. Yes, this approach requires the retailer to learn about his or her product lines, but the payback can be huge. It can lead to not only more sales, but bigger volume sales too. It is also a great way to attract word of mouth referrals. Here’s an example of how this works. For the purpose of this example, let’s imagine a potential customer is in a store looking at the sunglasses display. The salesperson would greet the customer and ask if they can help. The customer would either say they were ‘just looking’ or the customer may find a pair of sunglasses they like, and walk to the checkout. 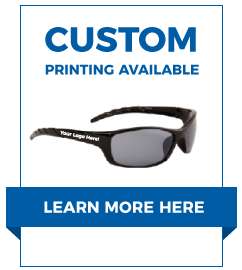 If the customer was just looking, the salesperson may suggest a few popular sunglass designs to look at. If none of the sunglasses appeal to the customer, the customer will leave. If the customer found a pair of sunglasses they like, they would take the sunglasses to the checkout. In either case, the best scenario is that the customer buys a new pair of shades. This common approach under-serves the customer and massively reduces the potential value of each customer to the store owner. The same potential customer would be looking at the same sunglasses display. However, everything else changes from the previous approach. If the customer replies with: “I’m looking for a pair that I can wear when I’m driving”, the salesperson might say, “This design works great for car use. They have a wide arm, which stops the sun hitting your peripheral vision when it shines through the driver’s side window”. The Educate and Inform salesperson, might then ask if the customer drives a convertible. If the customer does, the salesperson would advise them to make sure they use a good quality sunscreen, as the cooling effect of driving a convertible often makes us less aware how strong the sun’s rays are. Note that the salesperson has not tried to sell anything with sales techniques. The salesperson has simply offered great advise to someone… someone who feels like they were being helped, rather than pestered. The customer’s ‘buyer resistance’ is extremely low, because they are not being sold to in the traditional way. What happened here, was that the salesperson positioned them self as an adviser, rather than someone looking for a sale. The customer is left with a decision. To buy or not to buy. Will 100% of customers then go on and make a purchase that day? No. Will some of them buy from you that day? Yes. Will you have just massively increased the chances they will return to your store? Absolutely. Will lots of them be so delighted with the service you gave them, that they tell their friends on Facebook, Twitter etc? Definitely! The Educate and Inform approach is something that some retail business owners can immediately see the benefit of, whilst others do not. If you are still undecided, give it a try. Test the kind of feedback you get, both in sales numbers and the number of additional new customers you see, through word of mouth recommendations.